President Donald Trump met with the publisher of the New York Times A.G. Sulzberger earlier this month. But the two seem to have different recollections of the July 20th meeting at the White House. Trump first revealed the meeting took place in a tweet on Sunday morning from his golf club in Bedminster, New Jersey. "Had a very good and interesting meeting at the White House with A.G. Sulzberger, Publisher of the New York Times," Trump wrote. "Spent much time talking about the vast amounts of Fake News being put out by the media & how that Fake News has morphed into phrase, 'Enemy of the People.' Sad!" In a lengthy statement released after Trump's tweet, the New York Times said that it was the White House who invited the Times, and that it requested the meeting be off-the-record. But with Trump's tweet, a Times spokeswoman said the newspaper decided to publicize Sulzberger's "detailed notes." Sulzberger attended the meeting along with editorial page editor, James Bennet. Sulzberger said he accepted the meeting to raise concerns about "the president's deeply troubling anti-press rhetoric" and that he told Trump his language was divisive and "increasingly dangerous." "I told him that although the phrase 'fake news' is untrue and harmful, I am far more concerned about his labeling journalists 'the enemy of the people.' I warned that this inflammatory language is contributing to a rise in threats against journalists and will lead to violence," Sulzberger said. "I repeatedly stressed that this is particularly true abroad, where the president's rhetoric is being used by some regimes to justify sweeping crackdowns on journalists. I warned that it was putting lives at risk, that it was undermining the democratic ideals of our nation, and that it was eroding one of our country's greatest exports: a commitment to free speech and a free press. "Throughout the conversation I emphasized that if President Trump, like previous presidents, was upset with coverage of his administration he was of course free to tell the world. I made clear repeatedly that I was not asking for him to soften his attacks on The Times if he felt our coverage was unfair. Instead, I implored him to reconsider his broader attacks on journalism, which I believe are dangerous and harmful to our country," he continued. "The president regularly meets with members of the media and we can confirm this meeting took place," said White House spokeswoman Mercedes Schlapp. A president meeting with the publisher of one of the country's most prominent newspapers is not unusual. Presidents have often held off-the-record meetings with owners and publishers of major media outlets. But the Times holds a special place for Trump, a New York native. Despite his frequent criticism of Times' reporters and their stories, he has still given the paper multiple interviews. Sulzberger is still a new publisher. 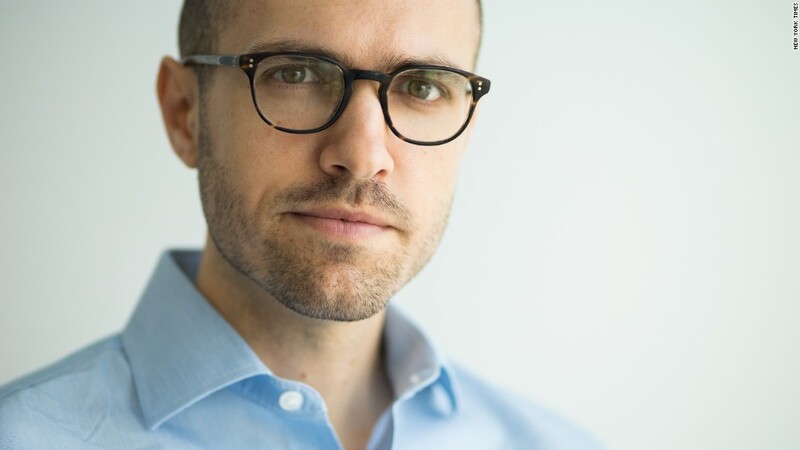 He took over the family-controlled paper from his father Arthur Ochs Sulzberger Jr. in January and has been overseeing a boom time for the business. Despite Trump's "failing New York Times" nickname, the Times is actually experiencing a surge in subscribers and popularity. Its profits increased by about two-thirds in the first quarter of 2018. Its "The Daily" podcast brings in millions of listeners each month. Soon after winning the 2016 election, Trump traveled to meet with editors and reporters at the New York Times' headquarters, where he lauded the paper as a "great, great American jewel" and that he hoped they could all "get along." CNN's Brian Stelter and Sarah Westwood contributed. Correction: A previous version of this article incorrectly identified former Times publisher Arthur Ochs Sulzberger Jr.